Select the text, right click and choose Link (Windows) or Hyperlink… (Mac) from the menu. Screen readers [opens in new window] [opens in new window] [opens in new window] read tables from right to left, top to bottom, one cell at a time (no repeats). If cells are split or merged, the reading order can be thrown off . 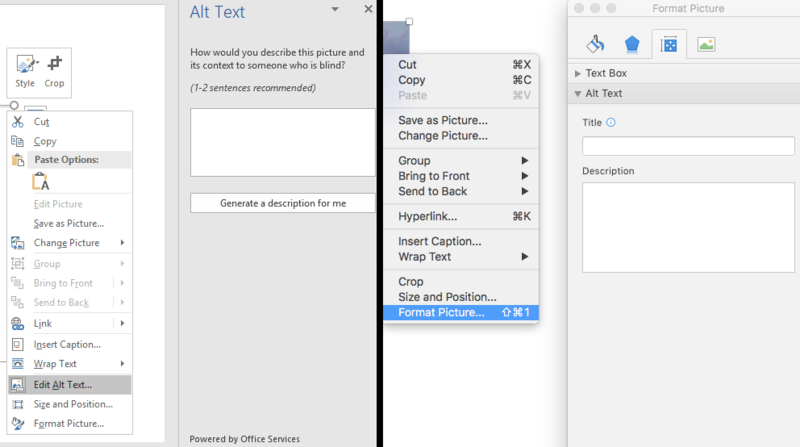 Math and science equations, formulas and notations can only be read by screen reading technology if you use PowerPoint 2013 with MathType 6.9 for Windows. Otherwise, be prepared to somehow extract all the content and place it in a file format that is accessible. For more information, see the Math Accessibility Report. Go to the Review tab when within your document.